Were you given a speeding ticket in Tarrant County, Texas? 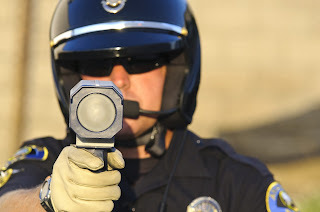 Jack Byno Attorney at Law fights speeding and other traffic citations! The police departments and Sheriff's office of Tarrant County issue many speeding tickets every year. Whether you got a speeding ticket or disregard traffic control device (DTCD) citation, these are violations that should be taken seriously. Drivers that get these traffic violations need a lawyer on their side! Jack Byno, traffic ticket attorney, can help fight to keep your ticket off your record and get your traffic warrants lifted. Contact me today! With nearly two decades of experience, Jack Byno, traffic ticket lawyer is dedicated to defending people accused of traffic violations. Contact me for more information about how I can help fight your speeding ticket and lift your traffic warrants. I defend all persons accused of all types of traffic offenses in all courts in Tarrant County, Texas including the Justice of the Peace courts. In most traffic ticket cases, there is no need for a meeting at our office and usually no need for you to appear in court. Of course there are never any promises or guarantees to the outcome of your case, but our clients with Tarrant County, Texas traffic tickets are almost always either dismissed, dismissed with a fee or reduced to a non moving violation which will not appear on the client's driver license record. Jack Byno, Tarrant County traffic ticket attorney represents clients with tickets that have gone to warrant. Do you have a traffic warrant in Tarrant County, Texas? Do you have a Failure to Appear (FTA) charge pending? Was a Violation of Promise to Appear (VPTA) issued against you? The Statewide Warrant Roundup will begin soon in Tarrant County, Texas! Jack Byno can help you resolve your warrant, before you are arrested. Contact me today to get your warrants lifted! If you have been issued a traffic ticket in Tarrant County, Texas, as a CDL holder, you may loose your driving privileges, pay significant fines, and/or lose your job. Even a simple speeding ticket may cost you your livelihood. Jack Byno, Tarrant County CDL defense attorney, provides traffic ticket defense for truckers and other commercial vehicle drivers holding a commercial driver's license (CDL). Arlington, Azle, Bedford, Benbrook, Blue Mound, Colleyville, Crowley, Dalworthington Gardens, Edgecliff Village, Euless, Forest Hill, Fort Worth, Grapevine, Haltom City, Haslet, Hurst, Keller, Lake Worth, Mansfield, North Richland Hills, Saginaw, Southlake, Watauga and Westlake.